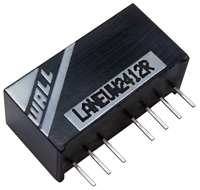 The LANEUW series consists of isolated 2 Watt DC/DC power converters with fully regulated single and dual outputs and ultra wide 4:1 input voltage ranges of 9~36VDC and 18~75VDC. 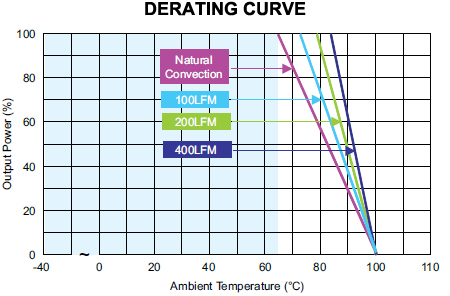 These converters operate over a temperature range of -40°C to +85°C while maintaining all specifications. The LANEUW series is RoHS compliant and includes remote on/off control, 1500VDC I/O isolation, and over load protection. 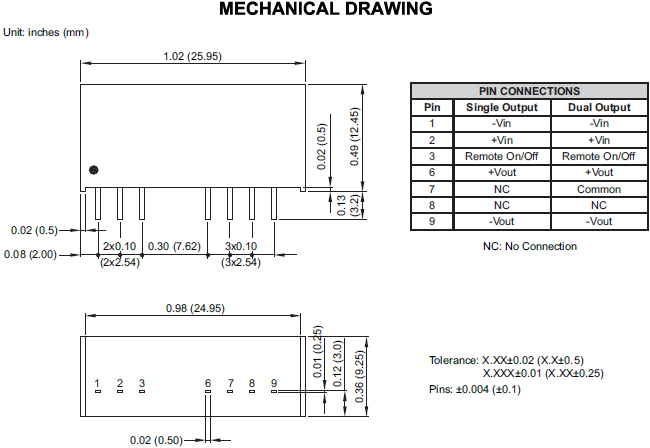 These converters are housed in a 9-pin SIP package with a very small footprint occupying only 0.36in^2 on the PCB. The very compact dimensions of these DC/DC converters make them an ideal solution for many space critical applications in battery-powered equipment and instrumentation. Dimensions: 1.02in. × 0.36in. × 0.49in. Notes: 1. These power converters require a minimum output loading to maintain all specified regulations. Operation under no-load conditions will not damage these devices; however, they may not meet all listed specifications. 2. All DC/DC converters should be externally fused at the front end for protection.